Between the Cotswolds and the Marlborough Downs, Chippenham grew up in Anglo-Saxon times as a crossing on the River Avon. In the town centre there’s a neat pedestrianised High Street, with a solemn town hall built in 1834. 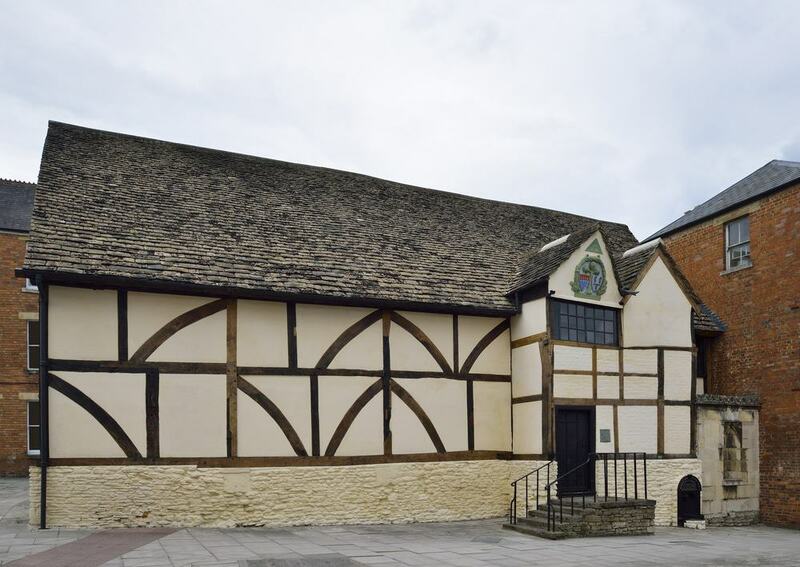 The town museum will give you a crash course in Chippenham’s history, and also owns the Yelde Hall, a half-timbered former jail and court from the 1400s. One of the joys of Chippenham is the profusion of interesting places in the town’s backyard. The picture postcard villages of Lacock and Castle Combe thrived in Medieval times and appear in TV shows and movies as pieces of old-time rural England. Bowood House, Lacock Abbey and Corsham Court are country houses crammed with art, and is where landmarks in scientific history were reached, like the discovery of oxygen and the first photographic negative. 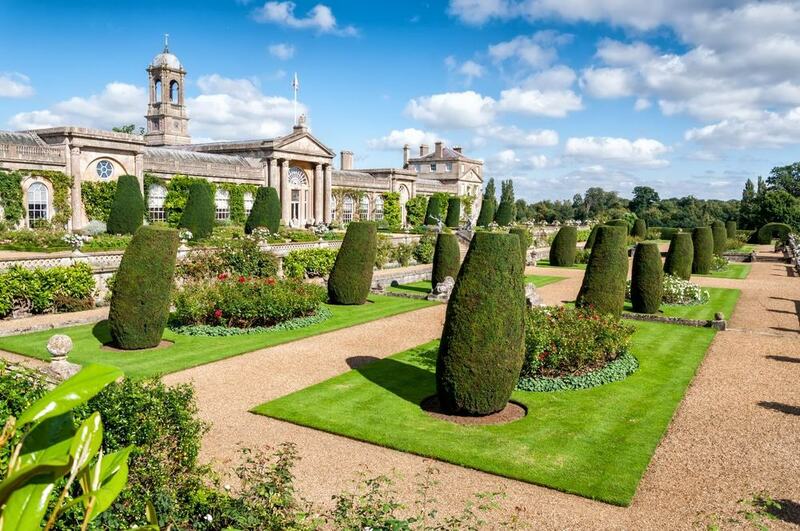 Just five miles out of Chippenham, Bowood House is a Georgian mansion that took shape throughout the 18th century. Two Georgian luminaries, Robert Adam and Capability brown worked on the house and grounds respectively. Sadly most of this once immense building was torn down after being used by the RAF in the Second World War. The remaining house is still large by any measure, and has lots of fascinating things within its walls. One of the rooms was used as a laboratory by Joseph Priestley, who discovered oxygen here in 1774. You can also enter the library, which retains a decorative ceiling designed by Robert Adam. In the Lansdowne family collections are Georgian textiles, jewellery, watercolours, miniatures and lots of furnishings from the Victorian period and artefacts brought here from colonial India. Capability Brown’s park is Grade I-listed, with a later Italianate terrace garden, private walled garden, an arboretum and a mile-long lake. 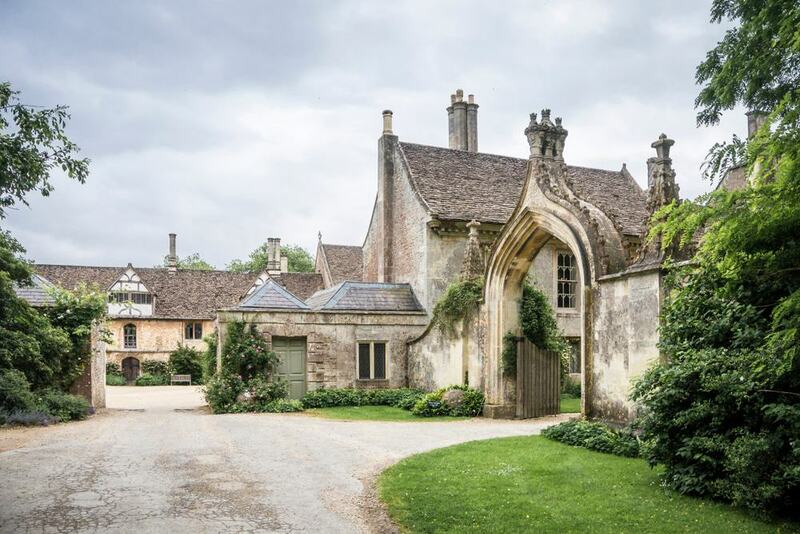 In the village of Lacock is a fine mansion adapted from the ruins of an Augustinian nunnery. During the Dissolution of the Monasteries under Henry VIII the building was mostly pulled down and sold off to the courtier Sir William Sharington. The building that took its place is an astonishing medley of styles from different periods, and integrates the monastery’s marvellous Gothic cloisters (these appear in two Harry Potter movies), sacristy, warming house and chapter house in its basement. The upper storeys were given a Gothic Revival makeover in the mid-18th century and in the 19th century the mansion became the birthplace of British Photography as we’ll see in the next entry on this list. The Abbey Grounds are a delight, and boast a greenhouse, botanic garden and lots of activities for restless children. 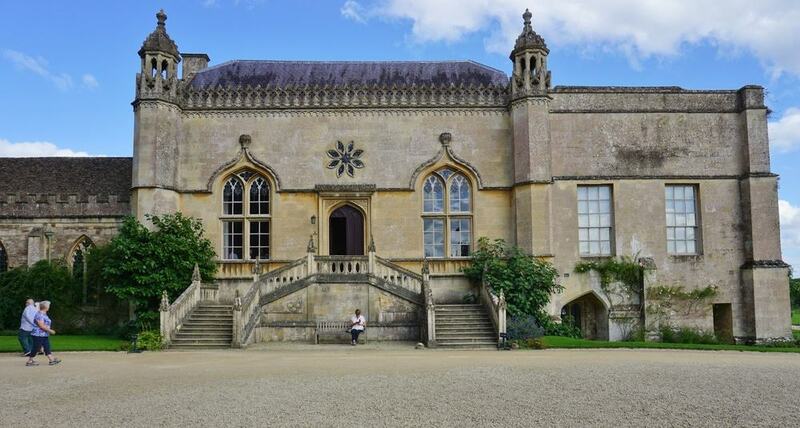 In the 19th century Lacock Abbey was home to William Henry Fox Talbot (1800-1877). One of a long line of Talbots to live at the house, William is remembered for his contribution to photography. In 1835 he captured what is believed to be the first photographic negative; an image of a mullioned bay window from the inside. On part of the ground floor there’s a museum about William Henry Fox Talbot, recording his life, the story of that famous negative, the chemistry behind his photography and details of the experimental “mousetrap” camera that he invented. 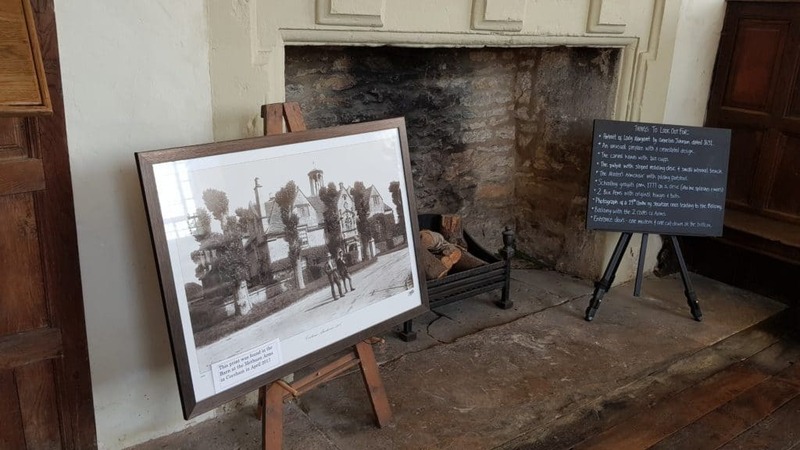 The Fenton Collection, made up of historic photographs, is housed at Lacock Abbey, while there are changing photographic exhibitions in a gallery on the first floor. The pick of the attractions in Chippenham proper is the town’s museum, housed in the 18th-century former magistrates’ court. 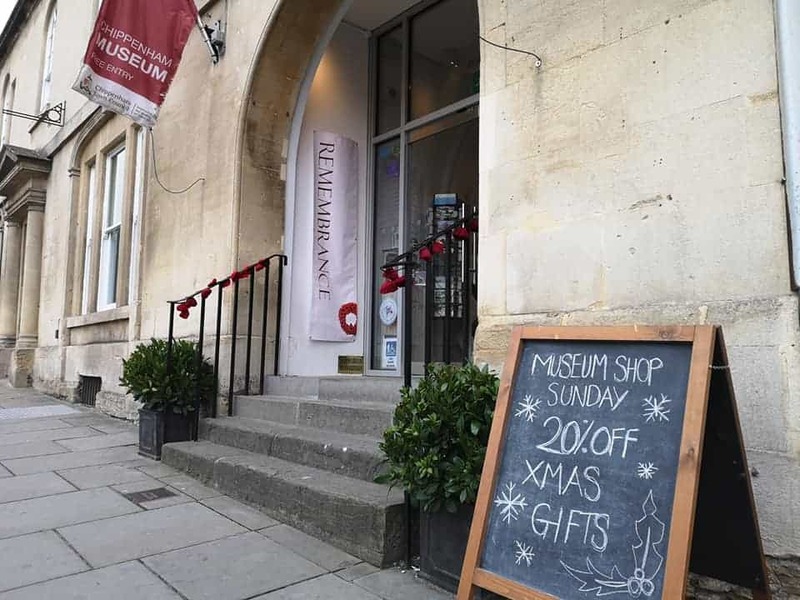 The museum explains how river, rail and road links helped Chippenham grow, and also reveals the town’s ties to some famous historical figures like Isambard Kingdom Brunel and Alfred the Great. You can discover what Anglo-Saxon Chippenham would have looked like, see the transformation created by the Great Western Railway in 1841, explore period street scenes and check out a working model of a flour mill. Kids are catered for with costumes and an activity table, while the calendar is packed with temporary exhibitions, guided walks and talks by historians. 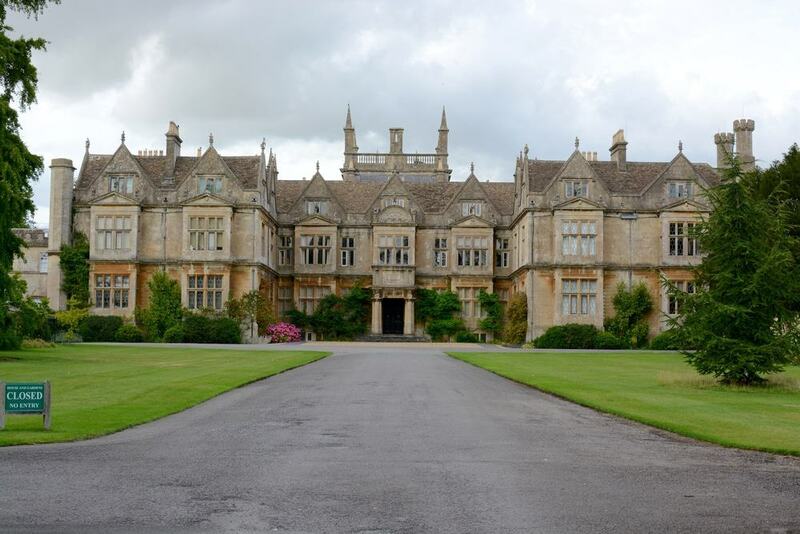 Another exceptional country house is only five miles southwest of Chippenham at the village of Corsham. This estate is extremely old, harking back to a manor owned by Saxon kings, and remaining in royal hands up to the reign of Elizabeth I. After the house was bought by Sir Paul Methuen in 1745 Capability Brown was hired to redesign the grounds but also extend the house. Brown’s work is still visible in the picture gallery and state rooms in the east wing, where the long gallery features a fantastic exhibition of 16th and 17th-century Italian Masters like Salvator Rosa and Carlo Dolci. The house is still private so only a small fraction of the rooms can be visited, but there’s enough porcelain, painting and furniture to keep you absorbed. In the grounds see the Gothic Revival bath house, also by Brown and a folly ruin by another star of Georgian architecture, John Nash. On a warm summer’s weekend it will feel like the whole of Chippenham has descended upon John Coles Park, in the best possible way. In this season there is a concert at the bandstand every Sunday from 15:00 to 17:00 by regional woodwind, silver and brass bands. A beloved local resource in summer is the splash pad, always a firm favourite for toddlers and small children. 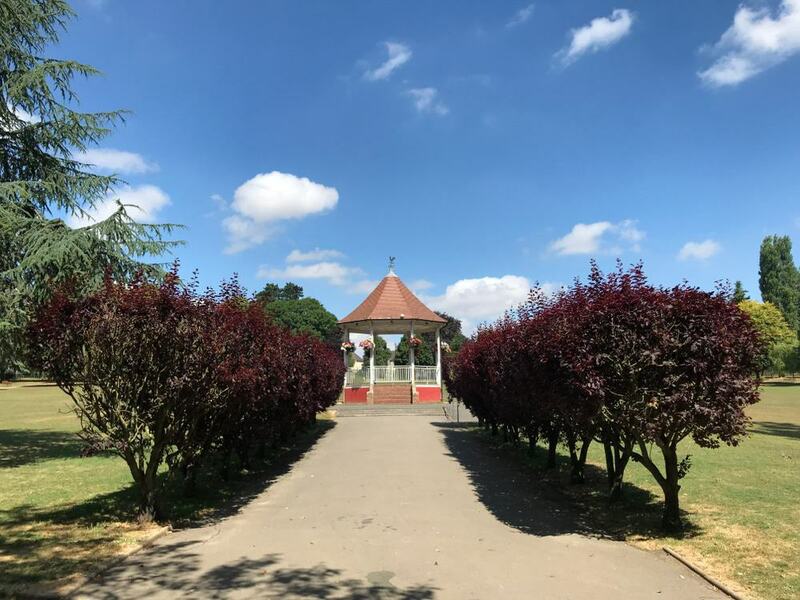 The park has flowing lawns where you can read a book or take a picnic under a mature oak, as well as sports facilities for residents young and not so young, including a bowling green, tennis courts and a multi-use games area. 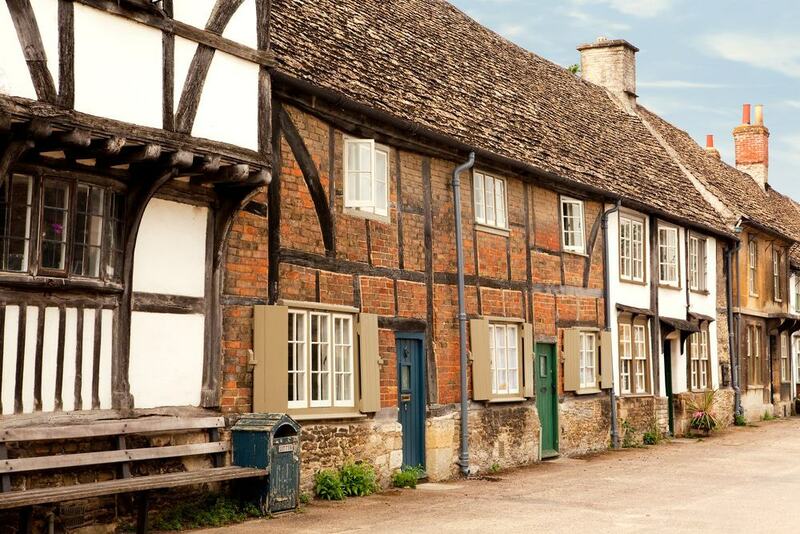 Nearly everything you see in the enchanting village of Lacock is older than the 19th century and owned by the National Trust. You could easily be convinced that you’ve gone back in time on this grid of four streets lined with half-timbered houses and endearingly rustic stone cottages. Little wonder then that Lacock has been a shooting location for lots of productions, including two Harry Potter films, Fantastic Beasts: The Crimes of Grindelwald, Downton Abbey and the 1995 BBC version of Pride and Prejudice. At no. 2 on the High Street there’s a shop window display from the early 20th century, while the junction of East Street and High Street you’ll find a Medieval tithe barn where goods paid to Lacock Abbey were stored. Just beside this building is the 18th-century village lock-up for drunks to be kept overnight. 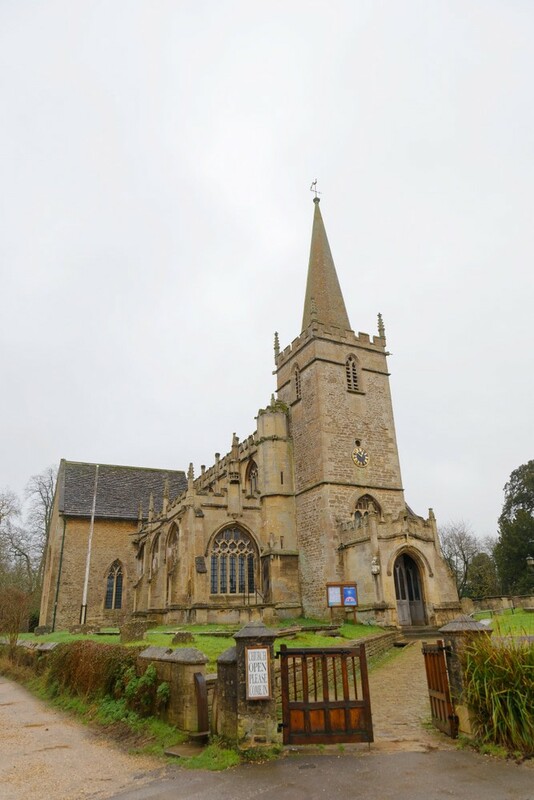 The splendour of Lacock’s church gives you an idea of how wealthy this settlement was in Medieval times. There was a thriving market here, on an important stop on the droving road between Bath and London. Local tax revenues helped pay for a reconstruction of St Cyriac’s Church in the 15th century, while an octagonal tower and an annexe called the Cottage were built in the 17th century. The highlights at St Cyriac’s all relate to Lacock’s historic landowning families. Most of all, look for the northeast Perpendicular Gothic chapel. This has rich lierne vaulting, some amazing 15th-century stained glass and a Renaissance monument to Sir William Sharington who took over at Lacock Abbey in the 16th century. 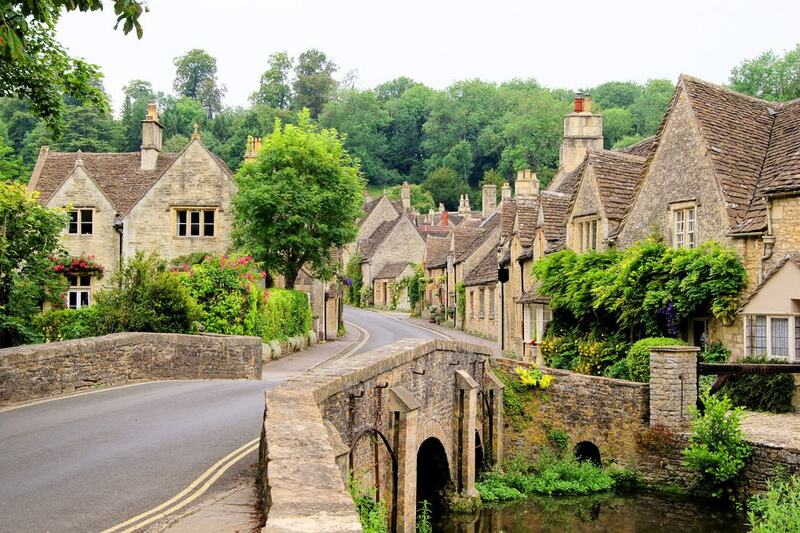 A short drive into the Cotswolds will deliver you to a village that is often described as the prettiest in England. Set on the By Brook, Castle Combe is built from the Cotswolds’ signature honey-coloured limestone and carries echoes of a once roaring woollen trade. In the parish church of St Andrew, seek out the 14th-century font, and the effigy of Sir Walter de Dunstanville (d. 1270) in the Lady Chapel. His crossed legs indicate that he fought in the crusades. Cross the bridge at the foot of the village for a photogenic view of the adorable, shambling terrace of houses on “The Street”, backed by the high valley side. Where the village’s three main streets meet is the market cross, raised in the 14th century when Castle Combe was awarded the privilege of hosting a weekly market. Bowood isn’t all about Georgian finery and history, as there’s an attraction just for kids on its grounds. 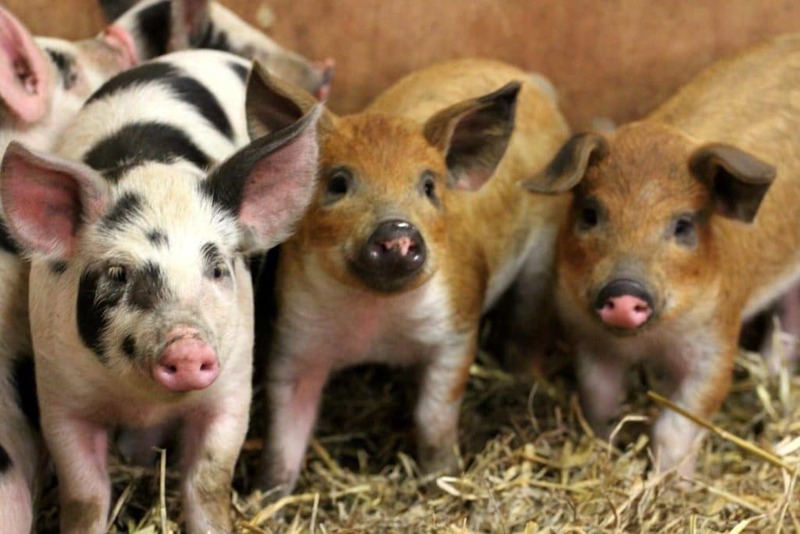 At the Tractor Ted Little Farm children can meet all kinds of young farmyard animals like lambs and chicks, as well as rabbits and tame guinea pigs. Friendly members of staff are always on hand with enlightening facts about these animals and how they’re looked after. In the Tractor Ted Barn you’ll find a sow and piglets, as well as an activity area with discovery walls, colouring in and educational DVDs about farming. Outside there are mini tractors and mechanical diggers to operate, and a superb adventure playground with a pirate ship and zip-line. While you’re visiting the Chippenham Museum you can enquire about the Yelde Hall, a Medieval building owned by the town. Constructed in the middle of the 15th century, this half-timbered building was a jail on the ground floor and a courtroom upstairs. Since these facilities were relocated in the early 19th century the building has been a bank, drill hall, regimental headquarters, fire station and the town museum until it moved out in 1999. On the gable above the side entrance you can find Chippenham’s town arms from 1776 topped with the inscription “J.S.”, for the bailiff at the time, John Scott. The wood-panelled courtroom on the top floor has been preserved, and inside you can sit in on a lively interactive council debate from the 1816, discussing the end of the Napoleonic Wars and the decline of the local weaving trade. A rewarding outing for motor enthusiasts, this museum is eight miles from Chippenham in the town of Calne. Put together with a lot of care, the museum is the only one of its kind in the county, and has cars, motorcycles, mopeds and bicycles from the 1920s onwards. Added to that is a wealth of motoring accessories and memorabilia and a fine collection of model trucks. One corner of the museum is a faithful recreation of a garage from the 1930s, complemented with cars from the period. 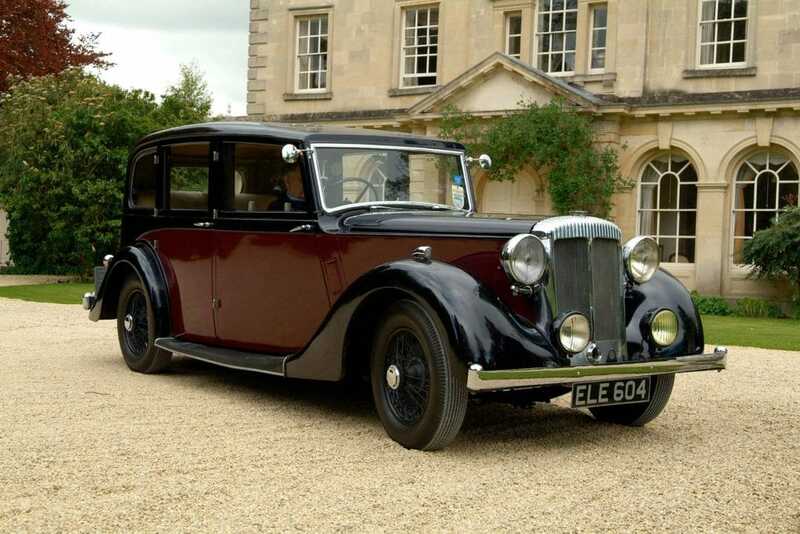 Many of the vehicles come with intriguing back-stories, like the 1936 Rover 14HP Sports Saloon customised for a wealthy Chippenham woman with an outsized steering wheel and vanity mirror. Your priority in Corsham has to be this Carolean almshouse dating from 1668 and built by the Corsham House resident, Lady Margaret Hungerford. Her husband, Sir Edward Hungerford had commanded Wiltshire’s Parliamentarian forces during the Civil War two decades earlier. Like Cromwell Lady Margaret was a strict Puritan and set 45 ordinances for the almshouse’s beneficiaries to adhere to. The Hungerford arms, carved in stone, still crown the main entrance. Most memorable is the oak-panelled 17th-century schoolroom, which retains a lot of its original fittings like benches and a teacher’s lectern, and has centuries of graffiti by bored schoolboys! 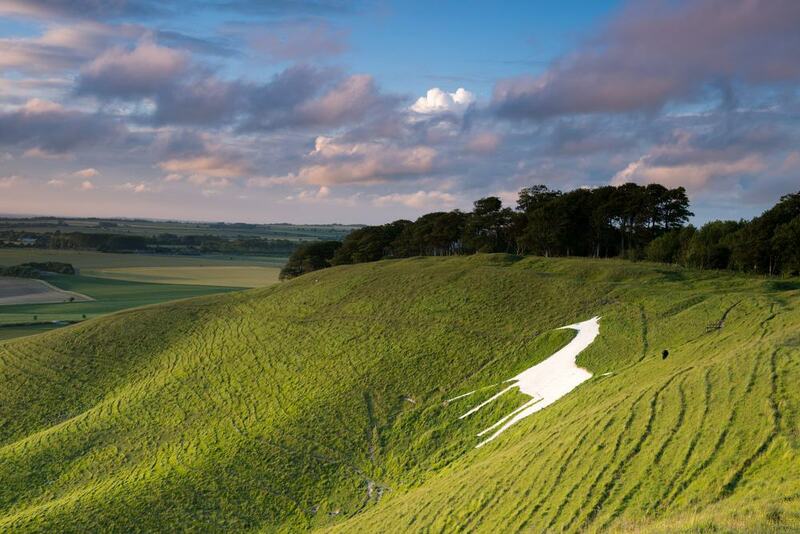 White Horses, produced by removing a layer of grass and soil to reveal the underlying chalk, are a hallmark of Wiltshire’s downs. There’s a good one eight miles from Chippenham in Cerhill, and this horse, cut in 1780 has been dated as the third oldest in the country. The man responsible was the eccentric Calne resident, Dr Christopher Alsop, who is thought to have bellowed instructions from the bottom of the slope via a megaphone. The hill above the horse is in the care of the National Trust, which has laid out a walking trail to the Lansdowne Monument a few hundred metres away. This 38-metre obelisk was erected in 1845 for Sir William Petty (d. 1687) a scientist, economist and philosopher who served under Oliver Cromwell, but remained an influential figure after the Restoration. 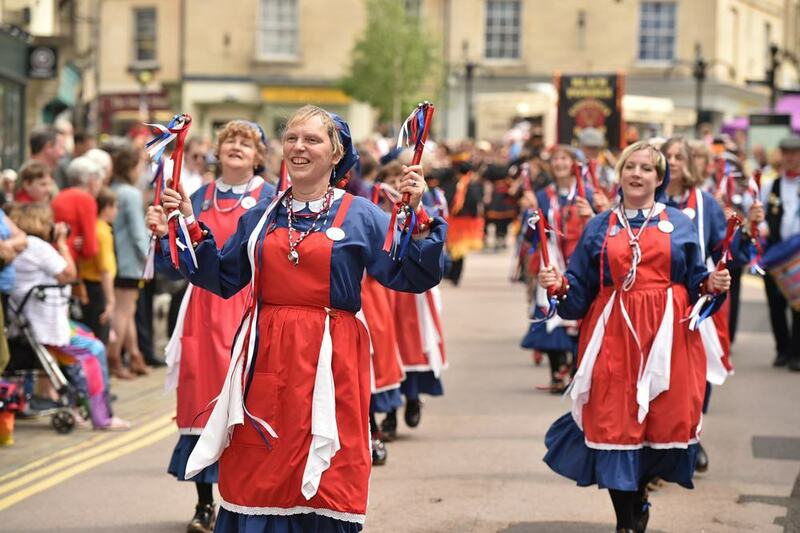 Now in its fifth decade, the Chippenham Folk Festival is held across the Bank Holiday weekend at the end of May when more than 200 individual events take place. A boon to the local economy, this wildly popular event is a celebration of the many different kinds of traditional music and customs found all over England. For a mere snippet of what to expect, there are concerts, dance performances, jam sessions, music and dance workshops, poetry readings, storytelling, social dances, cabaret acts and a big parade through the town on the Monday. Kids aren’t forgotten, and can get involved in puppet shows, circus workshops, face-painting, soft play.